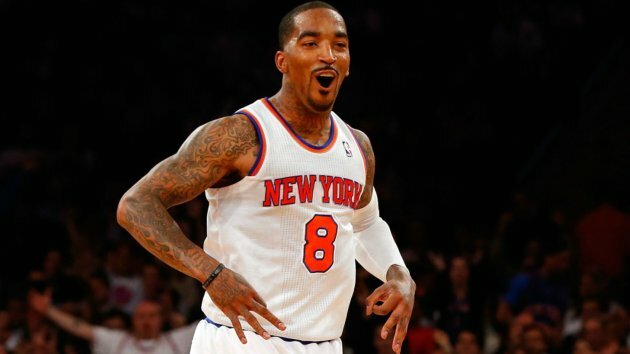 JR Smith is getting… Married?! JR Smith’s days of being distracted by Instagram Supermodels appear to be over. Smith, who has been fined for posting naked photos of models, been caught (by me) following models during games, allegedly been thrown off his game in the playoffs while lusting after pop star Rihanna, and has gotten into enough trouble off the court that he is having trouble latching on with a team this summer, is apparently looking to settle down. Smith, despite being in the midst of a two-year relationship with another woman, proposed to the mother of his daughter Demi, with the help of Demi. Here is a video of the proposal, posted, fittingly, on JR Smith’s Instagram. Is JR a new man? Probably not, but if he signs with a team and makes it through the first month without taking more than two contested fadeaway jumpers per game, we may have to reconsider. This entry was posted in Articles and tagged jr smith funny, jr smith girls, JR smith married, jr smith memes, jr smith proposal, KNICKS MEMES on August 15, 2015 by Tommy Rothman.